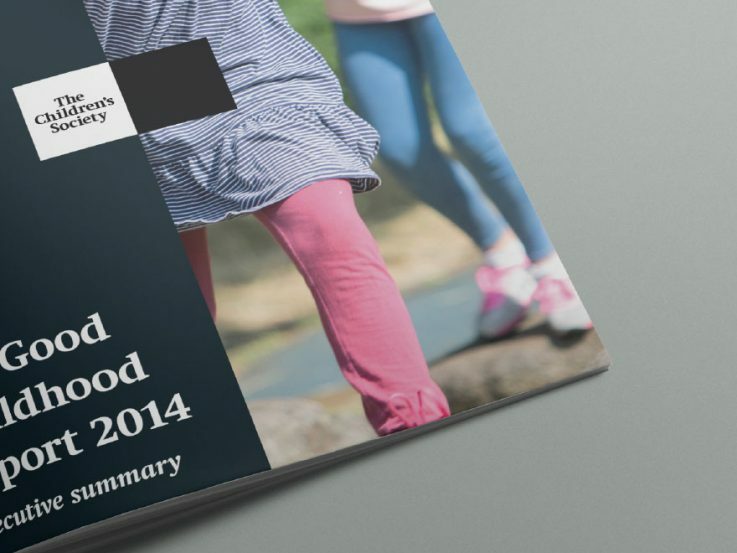 A high profile and influential research report about the well being of children in the UK. The new brand had just been launched and this would be one of the first external pieces of communication to be released by The Children’s Society. 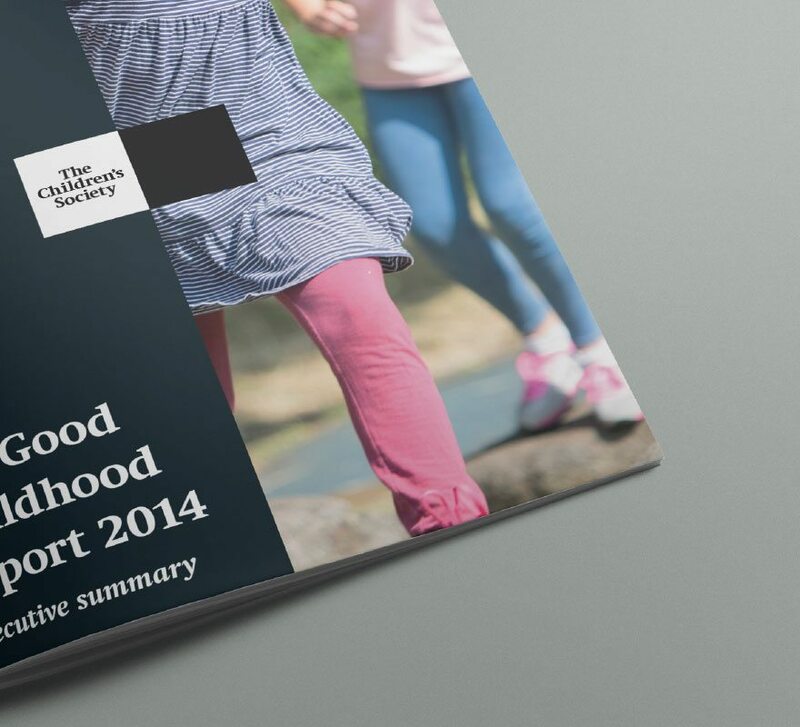 With the brand guidelines still being finalised and only two weeks from design to press launch we had to ensure the new fonts, colours and heading styles of the new brand worked coherently together in the report. 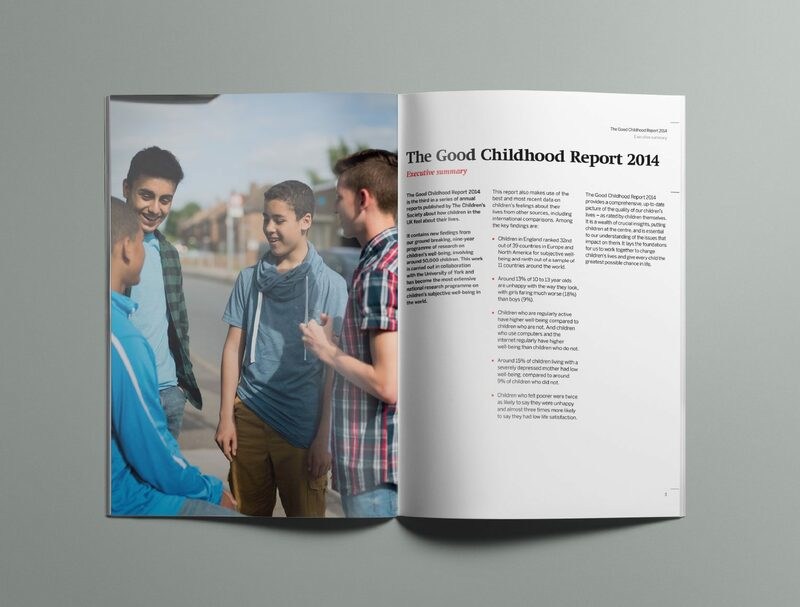 For a brand that hadn’t much external exposure it was extremely important to get the design right so that the new strong and impactful stance the The Children’s Society was moving towards could be conveyed through the report. 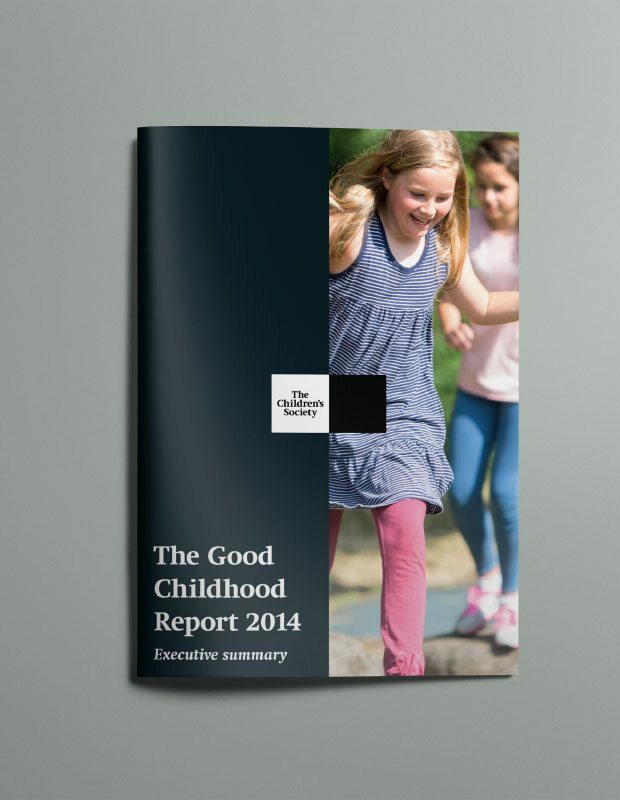 As always The Good Childhood Report is well received and this was a great launch pad for the new brand.